The Organization for Economic Co-operation and Development believes the Bank of Canada will start raising its key interest rate next spring – about six months ahead of what most economists believe and what the central bank has been implying. In the OECD’s twice-annual Economic Outlook, released early Tuesday, the international economic policy and research body argued that Canada’s low and economically stimulative 1.0-per-cent central bank rate “will need to be gradually withdrawn to counter inflationary pressures,” as its economy grows toward reaching its full output capacity. “It is assumed in this projection that the first policy rate increase occurs in late May of 2015, and that rates rise steadily thereafter,” the outlook report said. Most economists don’t expect the first Canadian rate increase until the fourth quarter of 2015, based on the signals central bank officials have been giving in recent months. 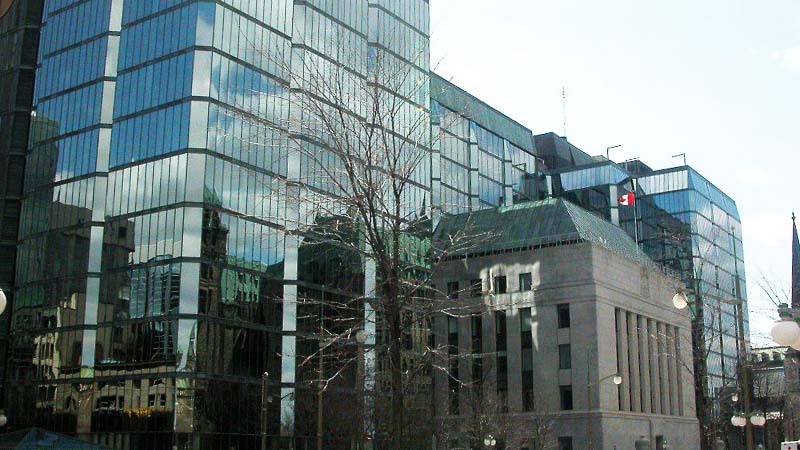 The bank has said it believes Canada’s output gap won’t close until the second half of 2016, around the same time that inflation has settled around the bank’s target rate of 2 per cent “on a sustainable basis.” And while the central bank has said that it takes six to eight quarters for a change in interest rates to exert its full effect on inflation, senior bank officials have also been clear in recent months that they are leaning toward keeping rates lower for longer in the current cycle, given the numerous risk factors hanging over the uncertain the global economy. The OECD projects that Canada’s economy will grow by 2.6 per cent next year and 2.4 per cent in 2016, slightly above the Bank of Canada’s base-case forecasts of 2.4 per cent in 2015 and 2.2 per cent in 2016. This isn’t the first time OECD economists have been at odds with the Bank of Canada’s interest rate trajectory. A year ago, when the OECD released its fall 2013 Economic Outlook, it called for the central bank to both begin rate hikes earlier and increase rates more steeply than the bank had been signalling. Then, as now, the OECD was concerned about a build-up of inflationary pressures as the Canadian economy picked up momentum. At the time, the OECD’s concern looked misplaced, given that inflation was below 1 per cent. And, indeed, its call for rate increase to begin before the end of 2014 was, in retrospect, premature. But 12 months later, Canada’s inflation picture may make the OECD’s argument more compelling. Last week, Statistics Canada reported that the country’s total Consumer Price Index inflation rate in October was 2.4 per cent, its highest since early 2012. The so-called “core” inflation rate, which excludes the most volatile components of CPI and is the Bank of Canada’s key guide to underlying inflation trends, was 2.3 per cent last month, its highest since the end of 2008. The OECD said Canada’s improving growth next year will be driven by rising export demand, particularly from the United States, which accounts for three-quarters of Canada’s exports. The OECD expects the U.S. economy will grow 3.1 per cent next year, its strongest in a decade and the highest among major advanced countries. But in a conference call with reporters, OECD chief economist Catherine Mann cautioned against countries counting too much on resurgent U.S. demand to be the catalyst for their export-led recoveries. She noted that U.S. consumption and imports has lagged its typical pace in a recovery, implying that consumers have slowed their spending in the current cycle. Ms. Mann suggested that rising income inequality may be behind the lack of consumer demand growth in the United States, as median incomes have shown little growth in the post-recession period. Corporate investment has also been stubbornly slow to recover, another drag on imports.